New Orleans Mayor Mitch Landrieu's position against the enforcement of Trump's immigration policies could jeopardize some federal funding. 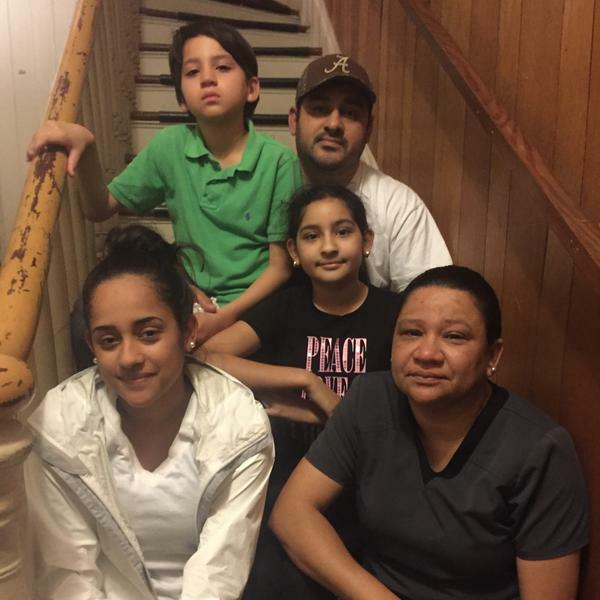 Irma Martinez-Delarca and her husband Walter Martinez, pictured with their three children, fear they are priorities for deportation under President Trump's immigration policy. In several cities Thursday, people stayed home from work and school as part of what was billed as "A Day Without Immigrants." The climate has energized the activists in New Orleans. "We will not be intimidated," Casildo says. She and her husband Mario Mendoza are leaders in the Congress of Day Laborers. They have three children and are in the country illegally. Through an interpreter, Mendoza says they moved to the U.S. because his life was in danger back home in Honduras. "I actually worked as head of a police department in Honduras," Mendoza says. "There were multiple assassination attempts on me. The lives of my wife and my children were in danger." His wife was also a police officer. They say they've always sought justice. But because they were denied asylum yet remained in the country, they could be a priority for deportation under President Trump's immigration policy. It's taken a toll on the family. Casildo says the childrens' grades have suffered. "Really, before this even happened, I was fine — I was fine, living life happy as possible," says 9-year-old Sarah, the youngest, who was born in the U.S. " But right now, my worst fear is losing my family." Her older brother Maycoll Mendoza, 17, also feels the effects of the policy. "People look at me like I'm some sort of creep or like I'm not a human," he says. "The president now says we're criminals and that we come to do bad things to the country," he says. "But we don't actually come here to do bad things. Everybody wants an opportunity to be better. For example, me? I'm a senior in high school right now, and I've been there for three years already." Immigration roundups around the country have people on edge and taking the legal steps they can — naming power of attorney, for instance — to provide for their families should they be separated. New Orleans Mayor Mitch Landrieu recently came to a Congress of Day Laborers meeting with the city's police chief to reassure the community. "Our police department will not be used as a deportation force for the federal government for the United States of America," said Landrieu. The two-term Democrat said the city would not have been able to rebuild after Hurricane Katrina without the work of immigrants. Landrieu's position could jeopardize some federal funding under President Trump's sanctuary cities order. "Municipalities or elected officials who disregard the rule of law should have funding withdrawn from them," says Louisiana's Republican Attorney General Jeff Landry. He's pushing legislation that would deny state funding to local governments that don't actively enforce immigration law. "Local law enforcement officers and state law enforcement officers have a duty to collaborate with the federal government in carrying out those laws," Landry says. As for people in Louisiana illegally, Landry says they should be deported. "We are talking about people who are engaged in illegal activity from the beginning," he says. President Trump's policy targets a broader group for deportation, including people whose only offense is an immigration violation. "We're feeling very afraid because now both of us are priorities," says Irma Martinez-Delarca through an interpreter. She and her husband are in the country illegally from Honduras, and have deportation orders. "We're not sure what we would do with our kids if they were to come to arrest us," she says, fighting tears. Martinez-Delarca is helping organize immigrants in New Orleans to know their rights should that moment come. President Trump is also stepping up deportations for people in the country without documentation, and immigrant rights groups are stepping up their resistance. Today, people stayed home from work and school as part of what's called A Day Without Immigrants. The protest was staged in several cities, including New Orleans, where city leaders say they will not enforce president Trump's immigration policies. Louisiana's attorney general says the state will, as NPR's Debbie Elliott reports. DEBBIE ELLIOTT, BYLINE: No papers, no fear is the message at a meeting of the Congress of Day Laborers. A mostly Latino crowd is packed in the sanctuary of a New Orleans church. They encourage one another to stand up for their rights. ELLIOTT: Fear is our fuel, says speaker Leticia Casildo. ELLIOTT: She says, we fight back for our families. We will not be intimidated. Casildo and her husband, Mario Mendoza, are leaders in the Congress of Day Laborers in New Orleans. They have three children and are in the country illegally. MARIO MENDOZA: (Through interpreter) The reason that I decided to come here was because my life was in danger. And I actually worked as - I had a police department in Honduras, and there were multiple assassination attempts on me. The lives of my wife and my children were in danger. ELLIOTT: His wife was also a police officer. They say they've always sought justice, but because they were denied asylum yet remained in the country, they could be a priority for deportation under President Trump's immigration policy. It's taken a toll on the family. Casildo says the kids' grades have suffered. The youngest, 9-year-old Sarah, was born in the U.S.
SARAH: Really, before this even happened, I was fine. I was fine living life. I was happy as possible, but right now, my worst fear is losing my family. MAYCOLL MENDOZA: People look at me like I'm some kind of creep or like I'm not a human. ELLIOTT: Maycoll Mendoza is 17. MAYCOLL MENDOZA: 'Cause, you know, the president right now says that we're criminals, that we're going to do bad things to the country, but we don't actually come here to do bad things. Everybody wants an opportunity to be better. For example, me - I'm a senior in high school right now. ELLIOTT: Immigration roundups around the country have people on edge and taking what legal steps they can to provide for their families - naming power of attorney, for instance, should they be separated. 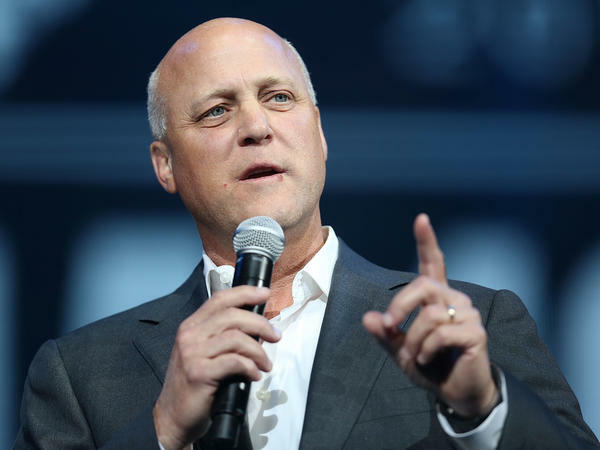 New Orleans Mayor Mitch Landrieu recently came to a Congress of Day Laborers meeting with the city's police chief to reassure the community. MITCH LANDRIEU: Our police department will not be used as a deportation force for the federal government for the United States of America. ELLIOTT: The two-term Democrat said the city would not have been able to rebuild after Katrina without the work of immigrants. Landrieu's position could jeopardize some federal funding under President Trump's sanctuary cities order. Louisiana's Republican Attorney General Jeff Landry supports the policy. JEFF LANDRY: Municipalities or elected officials who disregard the rule of law should have funding withdrawn from them. ELLIOTT: Landry is pushing legislation that would deny state funding to local governments that don't actively enforce immigration law. LANDRY: Local law enforcement officers and state law enforcement officers have a duty to collaborate with the federal government in carrying out those laws. LANDRY: Well, they should be deported. I mean, we are talking about people who are engaged in illegal activity from the beginning. ELLIOTT: President Trump's policy targets a broader group for deportation, including people whose only offense is an immigration violation. Among them are Irma Martinez-Delarca and her husband. They're in the country illegally from Honduras and have deportation orders. IRMA MARTINEZ-DELARCA: (Through interpreter) We're feeling very afraid because now both of us are priorities. And we're not sure what we would do with our kids if they were to come to arrest us. ELLIOTT: She's helping organize immigrants here to know their rights should that moment come. ELLIOTT: Debbie Elliott, NPR News, New Orleans. (SOUNDBITE OF THOM SONNY GREEN SONG, "VIENNA") Transcript provided by NPR, Copyright NPR.